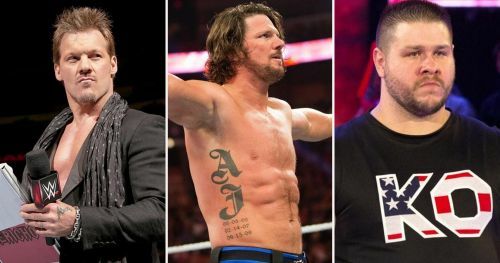 WWE has several championships on the main roster, and the top guys on RAW and SmackDown Live are crowned the champions as per their popularity and in-ring performances. The two brands had 9 championships between them in 2017, namely the WWE Universal Championship (RAW), WWE Championship (SD Live), WWE Cruiserweight Championship (which was a part of the red brand in 2017), WWE United States Championship, WWE Intercontinental Championship, each brand's tag team championship and each brand's women's championship. While the year 2017 saw a lot of title changes on both the brands, there were some occasions where a superstar won the same championship twice. Here's a list of 10 such superstars. Chris Jericho won his first ever United States Championship when he, along with Kevin Owens, defeated the Big Dog Roman Reigns in a handicap match on RAW. 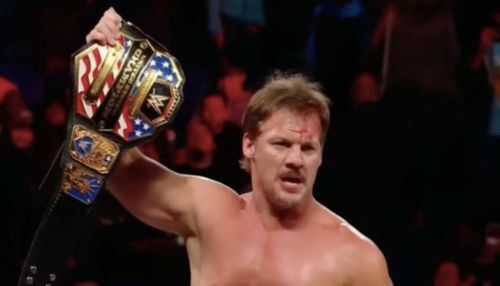 Jericho pinned the then United States Champion to become a Grand Slam champion. During his reign, his best friend Kevin Owens betrayed him at the Festival of Friendship to set up a match for the title at WrestleMania 33. Kevin Owens emerged victorious and took the US title over to SmackDown Live as a part of the Superstar Shake-up. The Ayatollah of Rock ‘n’ Rolla invoked his rematch clause at WWE’s next PPV, WWE Payback, and won his title back from the Prizefighter. However, his second reign lasted only 2 nights as he lost to Kevin Owens on the following episode of SmackDown Live. Kevin Owens attacked him after their match which led to Jericho’s departure from WWE TV. The 61 minute man made a rare appearance on SmackDown a few weeks later to have his rematch for the US title. Though he wasn’t able to win the US Championship, he made sure KO lost it as AJ Styles, who was a part of the triple threat match won the title.